Philippine President Rodrigo Duterte delivers a speech at Philippines Economic Forum in Tokyo. The U.S. Senate has reportedly halted the sale of assault rifles to the Philippines. 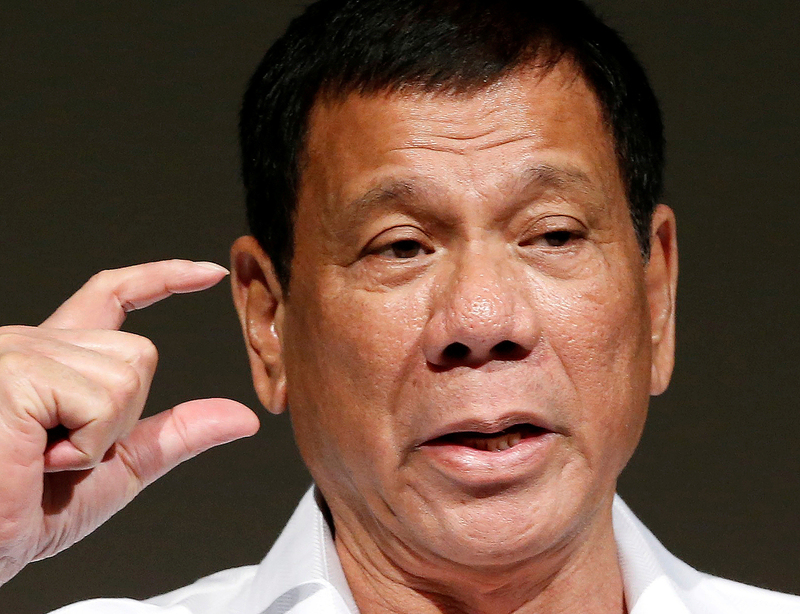 Washington’s critical remarks of Philippines President Rodrigo Duterte over alleged human rights violations have pushed the island nation closer to China and Russia. Hours after a news agency reported that the U.S. halted a planned sale of assault rifles to the Philippines’ national police, Philippine President Rodrigo Duterte hinted that the country could turn to Russia to meet its demand for arms and ammunition. “Remember what the Russian diplomat said? Come to Russia. We have everything you need,” Duterte was quoted by the Manila Bulletin as saying on Nov. 1. Reuters, citing U.S. Senate aides, reported earlier that the U.S. State Department halted the sale of some 26,000 assault rifles after Senator Ben Cardin said he would oppose it. The U.S. has been critical of Duterte’s war on drugs, which has claimed the lives of more than 2,300 people. In October, Duterte, who visited Beijing, said U.S. President Barack Obama could “go to hell.” The Philippine President also said last month that his country could turn to Russia or China for arms supplies if the U.S. refused. In an interview with RBTH in Sept. 2016, Philippine Ambassador to Russia Carlos D. Sorreta said the countries were making progress on a weapons procurement agreement, and added that Russian companies were welcome to submit bids on Philippine tenders. The largest buyers of Russian assault rifles such as the Kalashnikov Concern’s AK-47 are India, China, South American and African countries.